Wonder Park just opened in theaters with no credited director. It took five years to get it to the big screen. It reportedly cost close to $ 100 million even before marketing and distribution. Critics ripped it, and moviegoers seemed to think it was just OK.
Wonder Park was initially expected to make around $ 10 million for its opening weekend, per THR. Instead, it opened to $ 16 million. That’s not one of the world’s great success stories, but the PG film overperformed from projections. 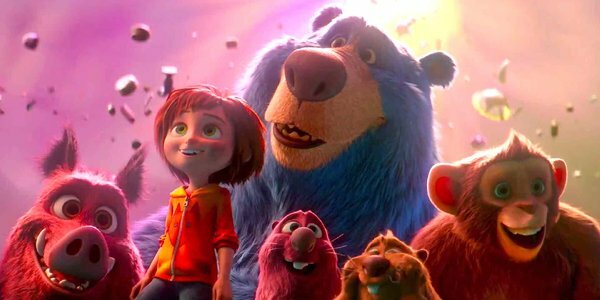 Wonder Park made $ 16 million at the domestic box office and another $ 4.3 million in 19 international markets. So the current worldwide total is $ 20.3 million. The film clearly has a long way to go to recoup the $ 80M-$ 100M it reportedly cost to make the movie even before distribution. But it could’ve been worse! Just saying. Find those silver linings where you can. In January 2018, when Wonder Park was still called Amusement Park, director Dylan Brown was fired from the movie. Multiple women accused him of “inappropriate and unwanted conduct” in the workplace. Paramount responded by saying they conducted a thorough investigation and Brown was no longer employed by the company.